10 Rolls of thermal paper, 3 1/8 x 230. 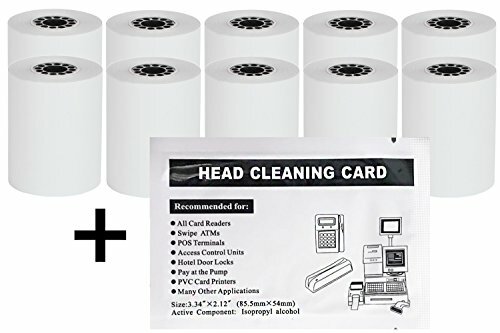 Kit includes 1 thermal head cleaning card. Each paper roll has an end of warning signal. 5 years image life guaranteed, lint free thermal paper rolls. If you have any questions about this product by Freccia Rossa Market, contact us by completing and submitting the form below. If you are looking for a specif part number, please include it with your message.